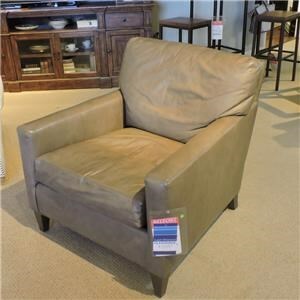 This upholstered chair features a casual, contemporary style. A clean skirt and subtle welt cords complement the modern styling of the chair. 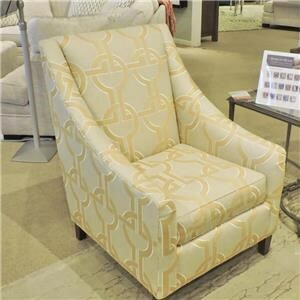 The style of this chair can be completely customized to fit your taste by choosing from arm, base, and cushion styles, and selecting a fabric from a variety of designer fabric options. 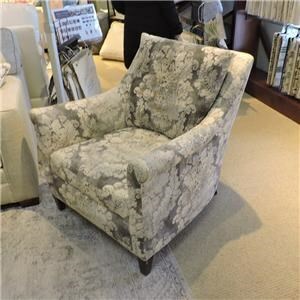 Add the finishing touches to your living room with this attractive upholstered chair. 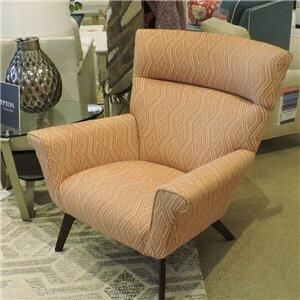 The 2051 Customizable Upholstered Chair with a Clean Skirt by Huntington House at Belfort Furniture in the Washington DC, Northern Virginia, Maryland and Fairfax VA area. Product availability may vary. Contact us for the most current availability on this product. 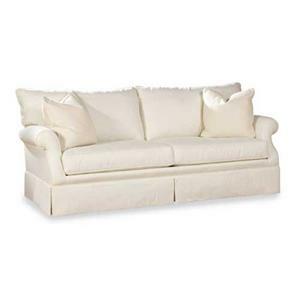 Focusing on a clean, casual style, this upholstery group is a classic addition to your home. This American-made collection offers high quality style for your living room or family room. Relax in comfort with your family, and enjoy pieces from this completely customizable upholstery collection. Choose from a variety of arm, base, and cushions styles, then choose your fabric for a unique look that truly represents your personal style. The 2051 collection is a great option if you are looking for Cottage furniture in the Washington DC, Northern Virginia, Maryland and Fairfax VA area.